Watch the video for ‘Monster’ here. 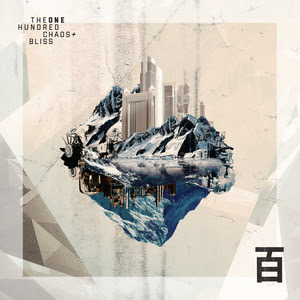 ‘Chaos + Bliss’, The One Hundred’s debut studio album, was released via Spinefarm Records on June 2nd 2017. 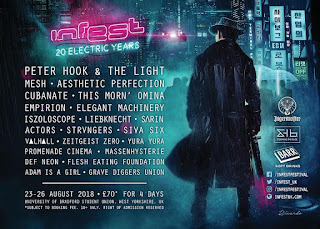 The 12 tracks – including lead UK single / video ‘Dark Matters’ and follow-up ‘Monster’ (both premiered on the BBC Radio 1 Rock Show) – will be available on CD, DL & LP, with the latter featuring bonus song ‘Temples’ (accessed via the free download card). Pre-orders for the album are now live, including signed items and merchandising bundles, with ‘Monster’ being offered as an ‘instant grat’. The One Hundred are also imminently heading out on their full debut headline tour kicking off May 1st in Southampton; from here, the band continue across the UK, then out to France and Germany. Tickets for all shows are on sale now. The One Hundred will also appear at the Teddy Rocks Festival in Dorset on April 29th plus the Download Festival on June10th. More tour and festival plans will be revealed in due course.